The area of present day Oklahoma was submerged under a shallow sea, which extensively covered the southern continental shelf of Euramerica. This continent consisted of the North American continent, together with parts of the Baltic states, and parts of Europe, including England. To the southwest of Oklahoma was a deeper basin or submarine trough, which spanned much of modern-day Texas. The North American continent sat on the equator, and most of the large continents were collected together in a supercontinent called Gondwana, which spanned from south polar regions to the equator. The map shown above is called a Mollweide projection. By comparing continental positions on this map with those shown on a similar projection of the modern earth, it will be seen that the American and Chinese continental masses were somewhat closer together during the Lower Devonian than they are today. Expansive submerged margins of these continents were blanketed by very fine carbonate mud mixed with skeletal detritus from dead organisms that lived in these waters. Evidence of these deposits have been found and described in many parts of the world as seen in the page of this site entitled Lochkovian Exposures. Large areas of Germany, the Czech Republic, other central European countries and Morocco formed a submerged continental platform between Euramerica and Gondwana. Photographs of the deposits at Black Cat Mountain are shown in the page entitled Hunton Rocks. Notice that the shallow sea covering the region of modern Oklahoma sat on the southern Horse latitude. To the west was a nearly open ocean that spanned a large distance, possibly greater than our Pacific Ocean today. Notice the lack of polar ice caps. This was a very warm world. It is possible the region around the equator between the Horse latitudes was especially hot, without much precipitation to dilute the waters of the shallow seas covering these continental margins, especially near the region around modern Oklahoma. This warm condition was ideal for the precipitation of carbonate mud blankets on continental margins, especially between latitudes thirty degrees north and south of the equator. 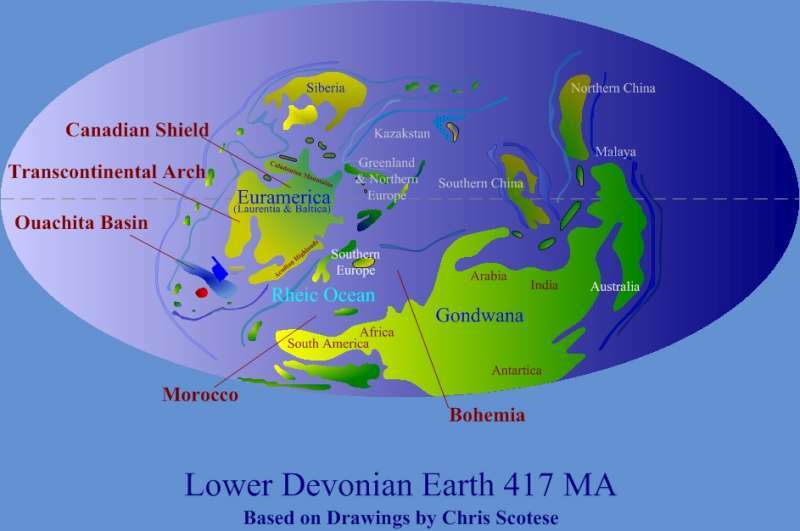 In drawing this image of the lowest Devonian world, I may have made the continents appear too green, as if they were covered with plant life. The extent of terrestrial vegetation is questionable during this time, since plants had only begun to emerge from the marine world onto land. By the end of the Devonian, the land was covered by forests. However, at the beginning of this period, the land was predominantly covered by sand, clay and rocks, with little or no soil as we know it today. Looking a little closer, below is a general view of North America during the Devonian that I redrew from Harold Levine's textbook, The Earth Through Time. This image is a bit artificial in that it shows the modern arrangement of land masses (including the arctic islands and Greenland), and the latitudinal and longitudinal lines are modern. These are superimposed on Devonian features shown in color and the Devonian equator. Shown is the greatest extent of submergence experienced by the continent during this geologic period. 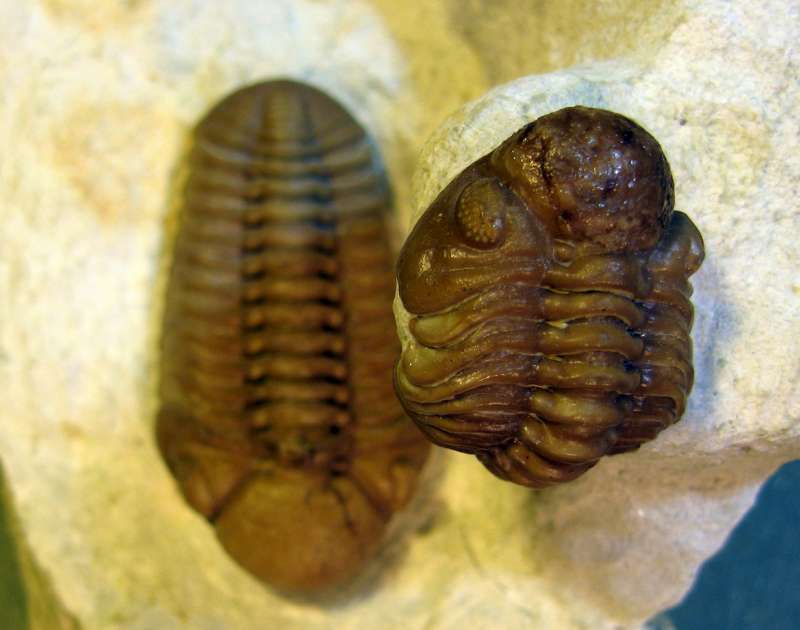 The Kaskaskian Sea covering Oklahoma had risen to the point that an open sea lane traversed the continent from north to south, possibly allowing a migratory path for trilobites between the "Old World Province" to the north east and the midcontinental region. 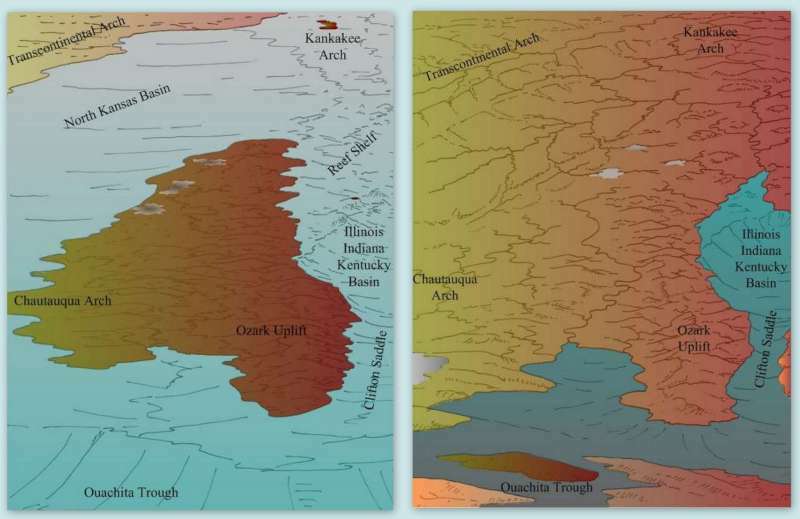 Below are closer perspective drawings of the North American midcontinental region at the beginning of the Devonian (left) and then later in the lower Devonian after partial withdrawal of the epicontinental sea (right drawing). In these drawings Oklahoma is in the lower left corner, with the area of Black Cat Mountain near the precipice of the Ouachita Trough. These drawings are based on illustrations by John W. Koenig, who published them in the Tulsa Geological Society Digest in 1967. Compositions of the rocks found at Black Cat Mountain, from lower to upper strata, support this general shoaling of the waters over the midcontinent during the lower Devonian. 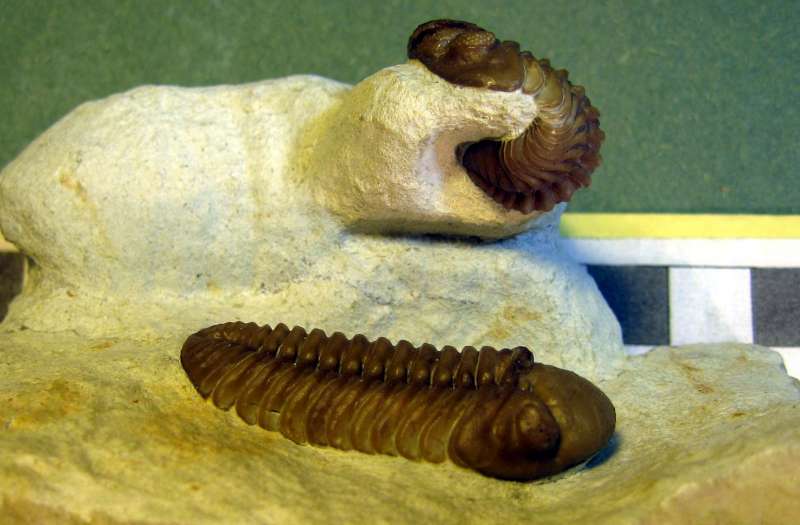 Becker and Kirchgasser described the world of the Devonian very succinctly in their opening remarks to the recently published synopsis on this period by the Geological Society: "The Devonian was a peculiar time in the Phanerozoic evolution of the Earth. Most continents, including the large Gondwana and Laurussia cratons, formed a Pangea-type assembly around the tropical Prototethys and an increasingly hot, global, greenhouse climate prevailed, with a complete lack of major ice sheets, even in polar areas. There was gradual and increasing flooding of the continents, creating huge epicontinental seas that have no modern analogues. Under these conditions the plants finally conquered the land, with the innovation of deep roots in the Emsian, the appearance of seed precursors and trees in the Givetian, and the spread of vegetation into dry uplands in the late Famennian. In the marine realm, the largest-known Phanerozoic tropical reef belts surrounded craton margins and tropical islands. It was the time of the sudden radiation of early ammonoids, of the earliest episodic blooms of calcareous-shelled, pelagic zooplankton (tentaculitoids), the rise to dominance of fishes, mostly of armoured forms and with giants reaching 10 m in length, but also including the first sharks, and the appearance of earliest tetrapods in marginal settings. However, the tropical and subtropical areas reaching up to 45° latitude were hardly a paradise. A combination of climatic, plate tectonic/magmatic and still poorly understood palaeoceanographic factors caused the recurrent sudden perturbation of stable ecological conditions by short-term global events of variable magnitude, including two of the biggest mass extinctions that the Earth's biosphere has experienced — the Upper Kellwasser Event at the Frasnian-Famennian boundary and the Hangenberg Events at the close of the Devonian." From: Becker, R.T. & Kirchgasser, W.T. (eds) 2007. 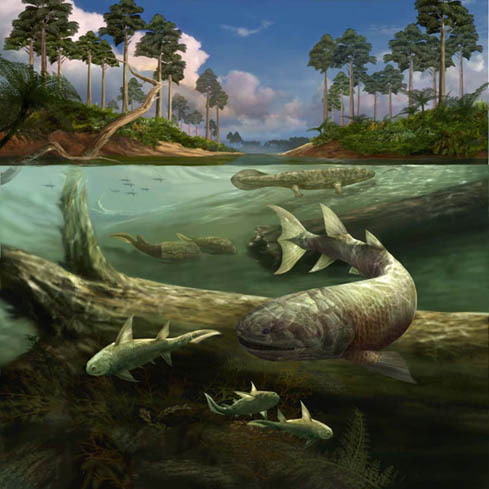 Devonian Events and Correlations. Geological Society, London, Special Publications, 278, 1-8. Changing continental structures and positions over time have been beautifully constructed in various graphic movie forms and presented for viewing through the websites Paleomaps Project or Plate Techtonics. Karen Carr of Silver City, New Mexico has produced some beautiful artistic images of life in the Devonian for museums. Click on marine life and an aquatic-terrestrial view for a couple of these. Alternatively, a nice view and description is given on the National Geographic website. For this click on Devonian Period. 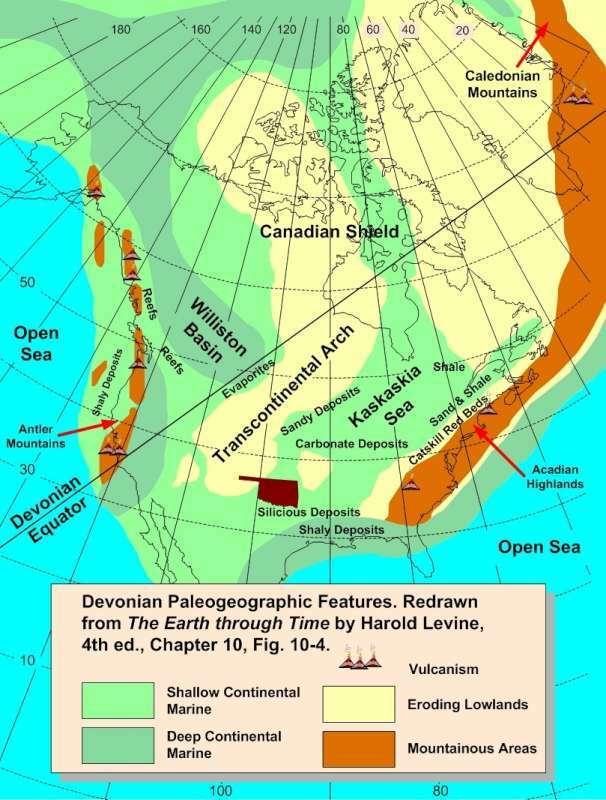 For additional information and descriptions of the life during the Devonian, read the excellent website Devonian Times. A link is on the Related Websites page of this site. 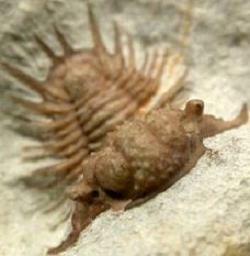 Excellent summaries of the Devonian period are given in Wikipedia, Answers.com and the free Science Encyclopedia. For these click on the links: Wikipedia; Answers; or Science Encyclopedia. 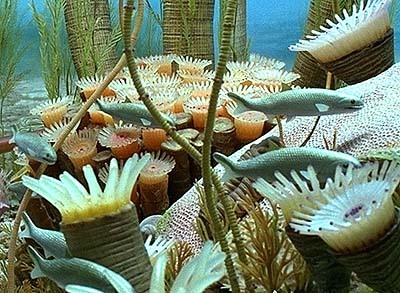 A site summarizing the geologic history of the earth has a nice image of Devonian sea life as well. Successive perpendicular views of an associated pair of Paciphacops campbelli.